A Phoenix-area integrated marketing and advertising agency with headquarters in Scottsdale and offices in Los Angeles, Seattle, and Oahu. Our comprehensive services include research, advertising, strategic planning, design development, campaign implementation, and more. 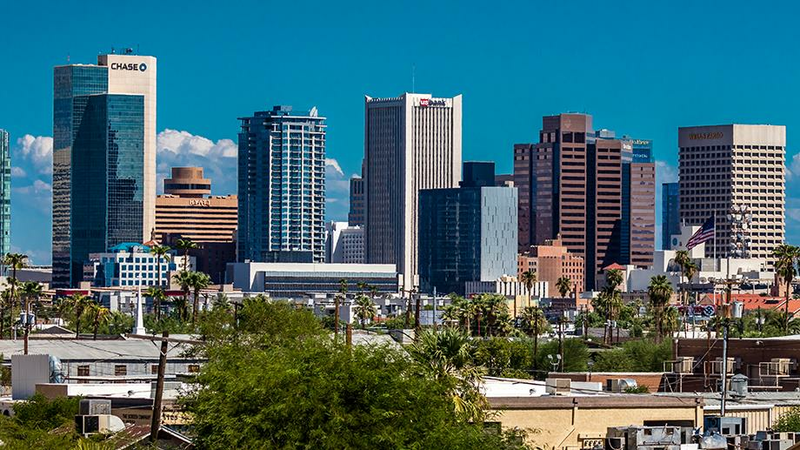 Phoenix area headquarters = much lower production costs so your budget buys more quality, conversions and return-on-investment. If your business is in these markets, why would you pay these high premiums for the same quantity of work with less quality? Consistent: In 25 years we have grown from a small, local shop to a mid-sized regional enterprise with national recognition for creating integrated brand experiences that leverage the best of business strategy, creative strategies, and new technology. President and CEO Brian Fabiano’s book, Neuromarketology, reveals the methodology of mapping each of your target audience’s behavioral, demographic, sociographic, and psychographic connection points to your brand. It has become a highly regarded “bible” on integrated marketing and advertising techniques of multi-screen, cross-channel firms, and lies at the heart of all of FabCom’s winning agency strategies for both offline and online marketing, advertising, and positioning. Neuromarketology: How to develeop, implement, and manage dynamic, real-time, cross-channel marketing campaigns the generate astonishing ROI. Our methods deliver guaranteed results on advertising, social media, inbound marketing, search engine optimization, online marketing, or any other one-to-one, personalized, or emotionally connective marketing strategy. FabCom is a top integrated marketing firm that shatters expectations for return on investment while empowering brands to reach their full potential. Our Los Angeles office was our first satellite. Our successful initiatives there showed us that we could be very advantageous for new “out of Phoenix” clients. As in our other offices, the Seattle location is home to a top professional—our veteran lead creative director—who also knows the power of creating preference, affinity, and conversion within Seattle's integrated marketing and brand-building space from growing up there. OK, so maybe opening an office in Hawaii included some fun considerations as well as business decisions. In any case, clients in the Islands have responded well to our integrated marketing and advertising methodology and what we bring to the luau table. What does advertising do for a company? "The primary function of advertising is to persuade people to buy something. Consequently, understanding how advertising influences people is an exercise in understanding how persuasion techniques are used in advertising to trigger buying decisions." "A digital marketing agency is different from your traditional marketing agency in that they are typically focused on results-based marketing in the digital world. Measurable marketing and ROI is the name of the game. ... A digital marketing agency is a brand-development and lead-generating engine." What do you do as a marketing consultant? "A marketing consultant is a very skilled professional who understand analysis, what motivates consumers and how to put strategies in place to improve business. Some people confuse advertising agencies and marketing consultants, assuming that marketing consultants do the same thing but independent from an agency." "Market research analysts gather and analyze data on consumers and competitors. Market research analysts study market conditions to examine potential sales of a product or service. They help companies understand what products people want, who will buy them, and at what price." What is the architecture of a website? "Website architecture refers to the way we structure a website to ensure we meet our business goals while delivering a great experience for our users. ... All websites have an IA but the overall picture of a website's architecture also includes: usability, interaction design, user interface design." What do you do as a video editor? "A commercial video editor is a highly skilled individual who edits video. The success or ultimate failure of the production lies in their hands. The final production must be a coherent project that incorporates the storyline and personality of the starring actors, especially when that star is your product or brand." What is digital video production? "Digital video production, also called digital videography, offers an array of jobs and positions. As a camera operator, video editor, DVD writer, animator or audio director, you could work in movies, television, news media, advertising, education, government or businesses." What do you mean by desktop publishing? "Desktop publishing (abbreviated DTP) is the creation of documents using page layout skills on a personal computer. Desktop publishing software can generate layouts and produce typographic quality text and images comparable to traditional typography and printing." What is meant by internet marketing? "Internet marketing, which is also called online marketing or digital advertising, is any tool, strategy or method of getting the company name out to the public spaces on the public Internet. The advertisements can take many different forms and some strategies focus on subtle messages rather than clear-cut advertisements."